"Male Unbonding" is the second episode of the NBC sitcom Seinfeld to be produced, and aired on June 14, 1990 as the fourth episode of the first season. 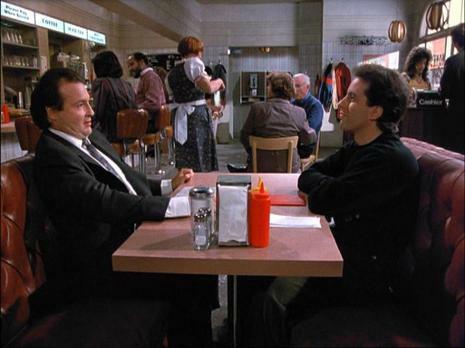 In it, Jerry Seinfeld tries to avoid meeting an old childhood friend, Joel Horneck (Kevin Dunn). Jerry's neighbor, Kramer, conceptualizes "a pizza place where you make your own pie." The episode was written by Larry David and Jerry Seinfeld, and was the first episode directed by Tom Cherones. This was the first episode produced with Elaine Benes (Julia Louis-Dreyfus) as a character. It also was the first episode to use Jonathan Wolff's title music. This is the only Seinfeld episode to have a title without the word "The" in front of it.